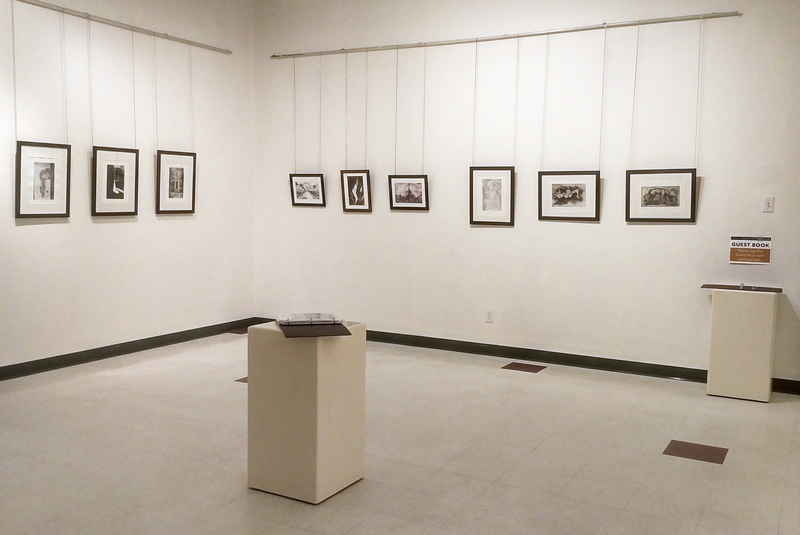 Brandon University students are exhibiting at a gallery in Portage la Prairie. 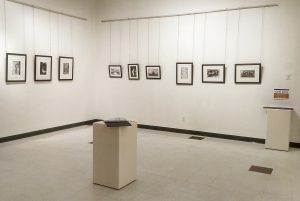 The Portage & District Arts Centre will be displaying “Narratives,” an exhibition by Brandon University Printmaking II students, from February 21 to March 10, 2018. The opening reception is on Saturday, February 24, from 2:00 pm to 4:00 pm at the Portage & District Arts Centre (PDAC) at 11-2nd Street NE (west doors of the William Glesby Building). The BU student exhibit features intaglio prints, a method used by Picasso that involves etching an image into a surface which then holds the ink. It is the direct opposite of a relief print. Local artists Annette Henderson and Lee Beaton along with Janet Russell-Shaw, Mao Guolixuan, Wil Mousseau and Ian Curtis are the artists from BU Assistant Professor Lisa Wood’s class, whose works are on display for the “Narratives” exhibit. Each student created a unique body of work during Printmaking II using various intaglio etching techniques, starting with line-etch then aquatint and followed by photopolymer etching. Challenges happened with each process and as a class students were able to troubleshoot the difficulties. The resulting editions are fantastic. “I saw the Picasso exhibit at the Winnipeg Art Gallery early this year and now have a better understanding of the process he used to create his prints,” Henderson said. The artists will be in attendance on Saturday, February 24 at 2 p.m. to discuss this unique printmaking process. The Portage & District Arts Centre is a registered charity and not-for-profit organization that showcases and promotes the artworks of artists.